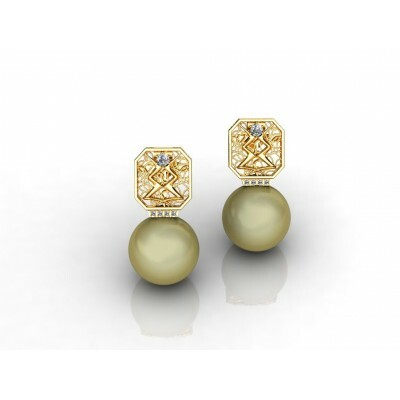 Beautiful earrings made with 18K Gold and 4 rows of diamonds, which has 1.20mm in size and has a total quality of 0.64ct. 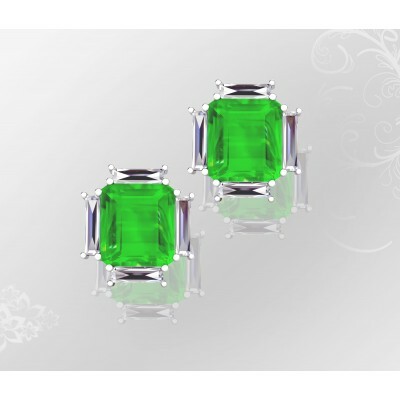 H-VS. 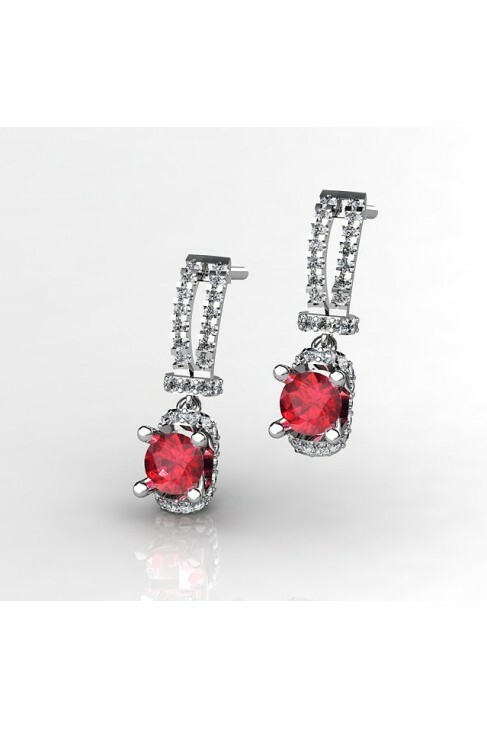 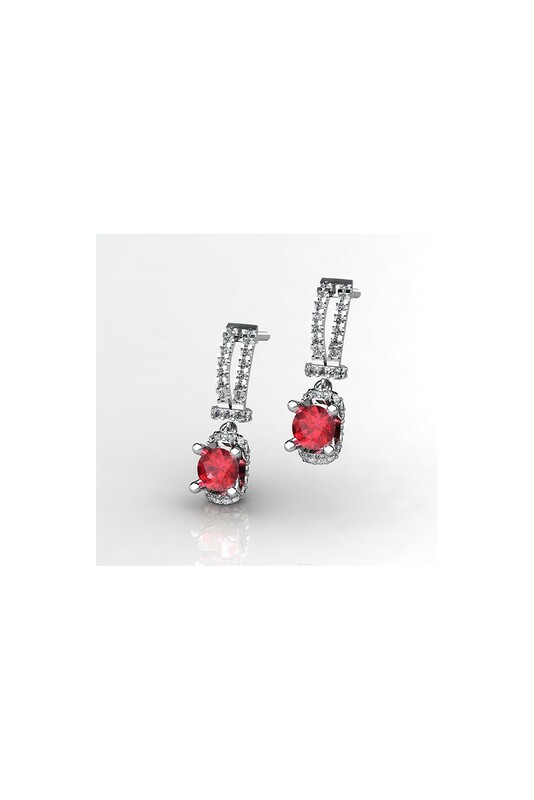 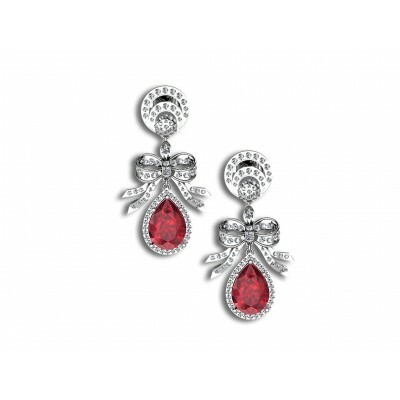 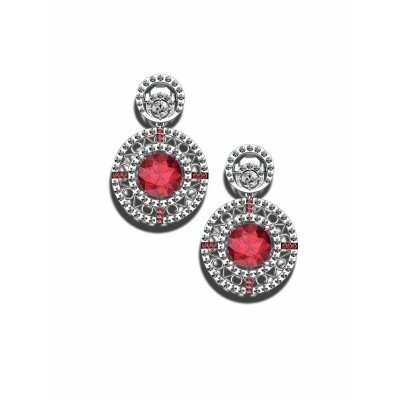 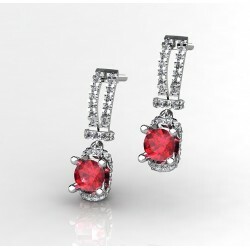 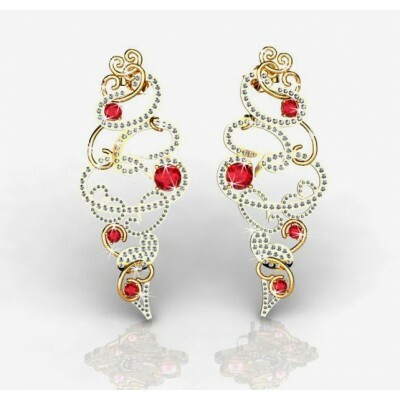 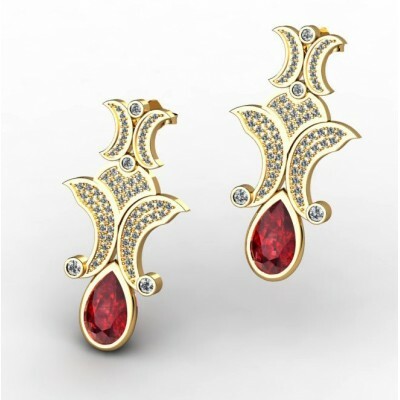 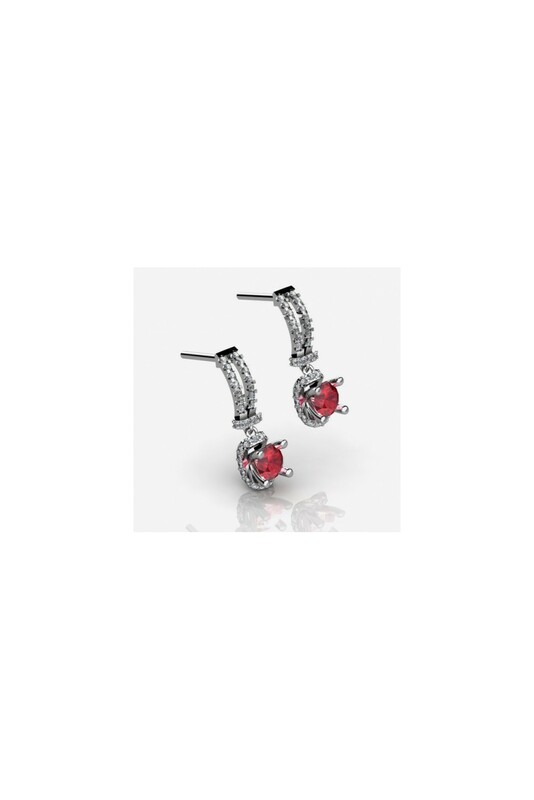 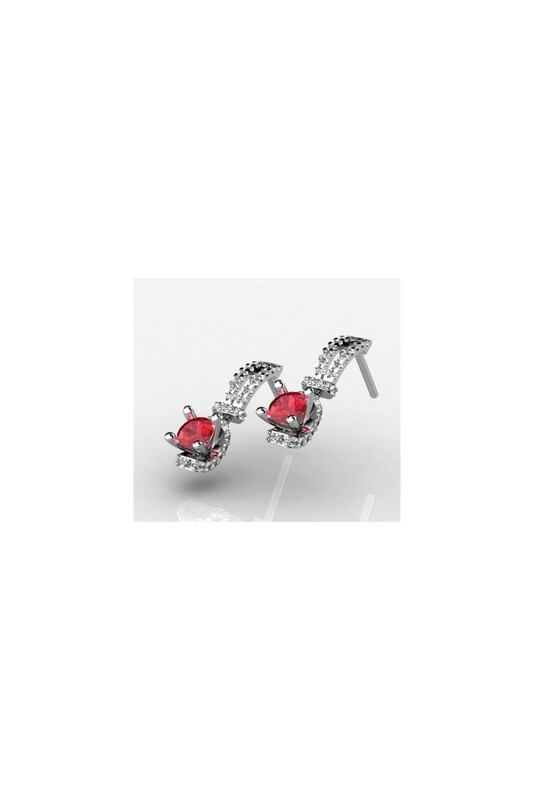 Furthermore, each earring has a lovely red ruby, measuring 5 mm. 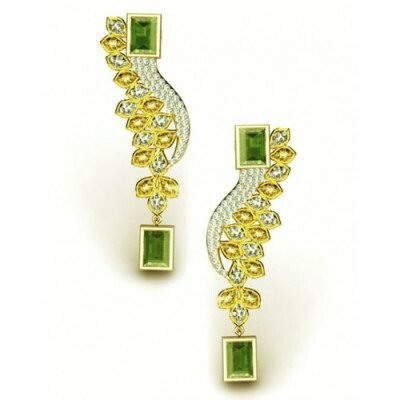 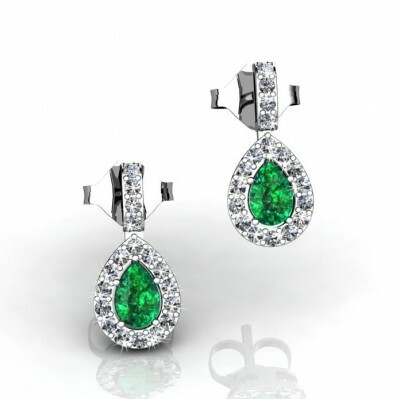 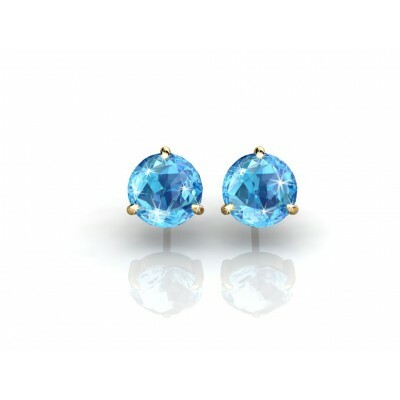 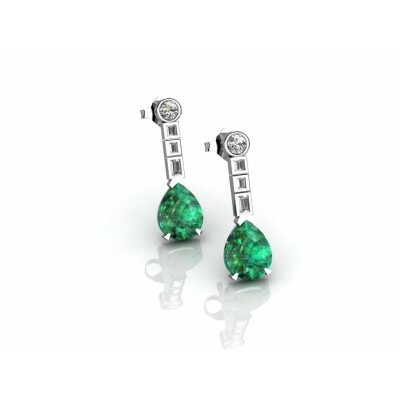 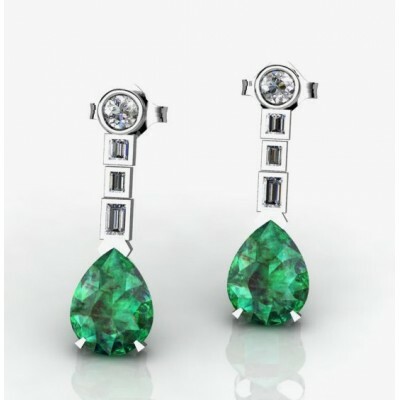 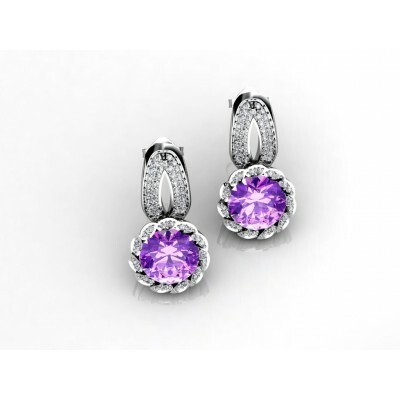 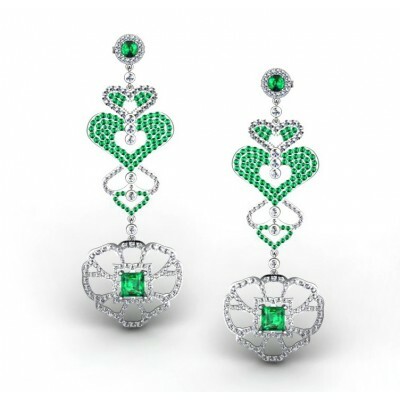 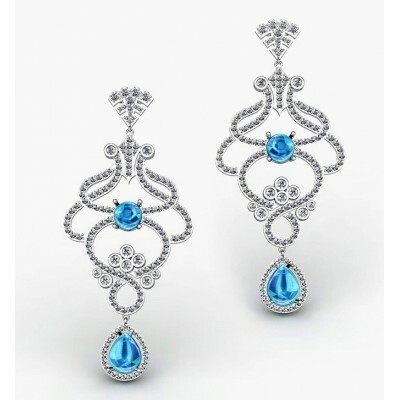 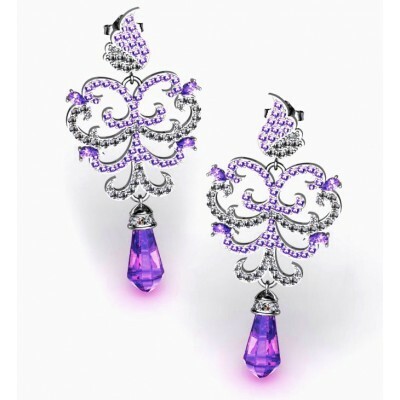 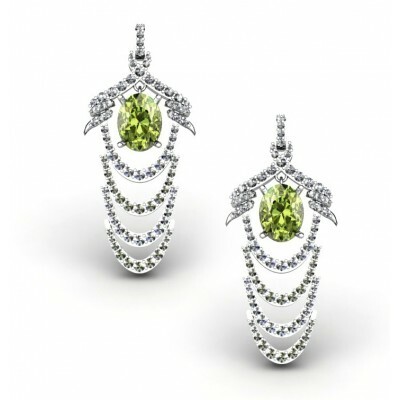 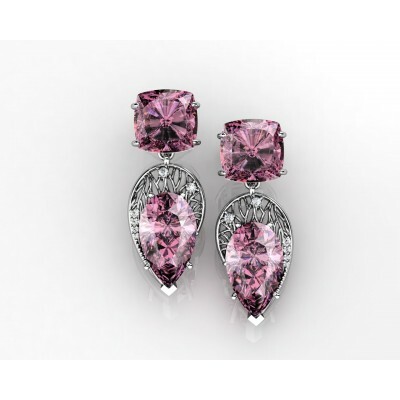 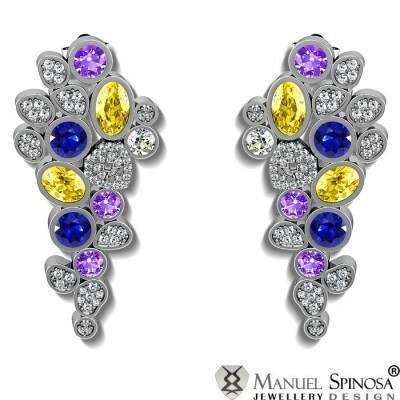 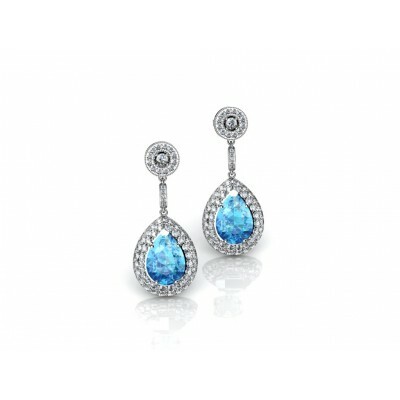 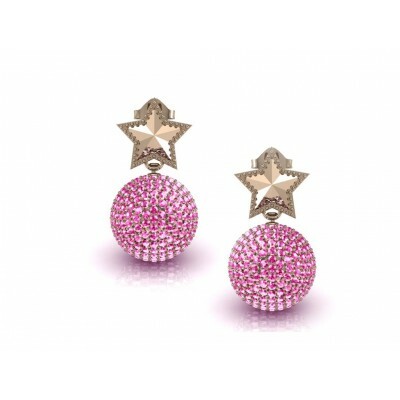 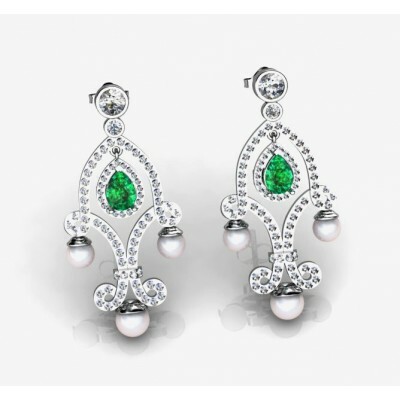 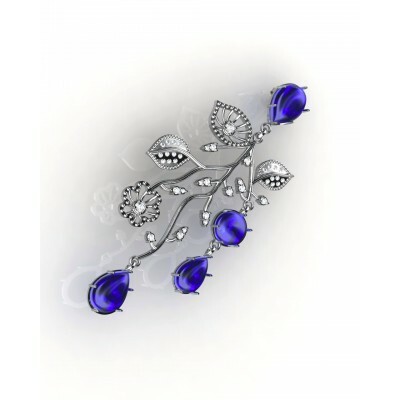 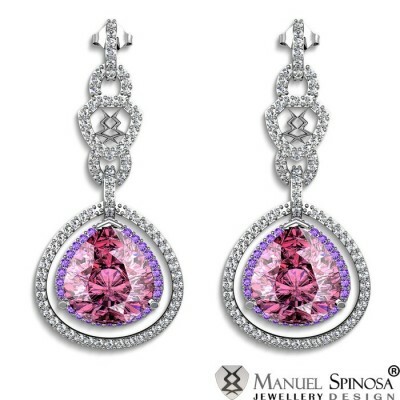 These earrings provide enough brightness to catch the attention of everyone.